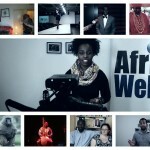 A look back at a very important and exciting year on Africa Web TV. It was a ground-breaking year. Africa Web TV had several highlights and one very compelling low point. Kees and Phay takes you through the highs and lows of a pivotal year.